We understand; health care is changing and this change is forcing all providers of the healthcare system to meet new performance standards. Similarly, our team is always looking for helpful and innovative ways that help us and our healthcare partners arrive at quality patient outcomes with the least amount of waste possible, all while increasing quality of service for those patients who are entrusted to us. To reach these new performance standards providers of every type have begun tapping other healthcare partners with various abilities and strengths to help each other remain competitive and meet these increased performance standards. HCU has also responded to this increase in collaboration and performance standards by implementing proven methods and best practices in our daily operations as well as developing new and exciting innovative programs. The innovations programs you find here are only the beginning. If you or your organization is interested in developing an initiative to improve outcomes when discharging a patient to their home, we want to partner with you. We’re seeking partnerships with hospitals, insurance companies, health management companies and other facilities. Dealing with a loved one’s health problems can be overwhelming. You want to do the “right” thing, but figuring out what’s right can be difficult without the benefit of experience or medical knowledge. With this in mind, Health Care Unlimited offers a Total Care Case Management Program, including case management services for home care patients. Designed to coordinate care for even the most complex home care cases, an HCU case manager can interface between physicians, home health agency, other ancillary services, and family, providing optimally effective medical care. A case manager is there to advocate for the patient; they can supply as much assistance as is needed or wanted, including full decision-making responsibility. Think of them as an extension of your family with timely access to medical, community, and institutional resources. HCU case management services can be added to a personal care assistance program at no additional cost in most cases. A knowledgeable health care professional, your case manager will work to facilitate conversations between the medical world and the patient and family, providing comfort and guaranteeing coordinated care. Provide additional support and supervision to prevent unnecessary hospital readmissions. Medication reconciliation and improve medication understanding and literacy. Identify early signs and symptoms and communicate these to Path Manager for intervention. Ensure medical appointments within 30-day period are properly scheduled and followed. Health Care Unlimited’s Transitions Program is a privately funded program designed to provide additional supervision of those patients which are at high-risk for a hospital readmission. Whether your EMR system has detected an elevated risk that the patient may be readmitted to the hospital, or a simple interaction between a hospital care professional and the patient yields concern of a hospital readmission, HCU can provide an extra layer of supervision in the home to ensure health plan goals are met and physician protocols are followed. HCU Path is 30-day program designed to collect information, improve coordination with healthcare providers, improve patient compliance, enhance patient comprehension, identify and address deficits in health literacy, provide early detection of health problems and provide solutions for early intervention in order to prevent a hospital readmission. HCU’s Path Transitions Program consists of 5 visits to the home by an HCU Path Manager (RN), coordination with other care providers, 5 follow-up calls from the nurse to the patient, and unlimited calls from the patient to the nurse to ensure patient compliance with the patient’s plan of care. Medication reconciliation to ensure that all medications required are accessible by the patient. Phone calls to reinforce teaching ensure fidelity to care plan, and ensure observance of early symptom detection. The HCU Path Manager will conduct visits and phone calls to setup a foundation of compliance and healthy recovery. After the foundation is set, the Path Manager will follow-up periodically to ensure progress and that the patient is on the “Path” to a healthy recovery. For patients who require persistent attention for functional, dietary, or psychological needs and are at high-risk for hospitalizations, we have designed a program which places a personal care attendant that holds a Certified Nursing Assistant (CNA) license. These attendants receive additional and detailed instructions with regards to the client’s conditions, disease/conditions signs and symptoms. By further training CNAs which have already proven themselves and established a solid foundation in the areas of patient care assistance, HCU Registered Nurses can further build on this foundation by establishing parameters for reporting concerning signs and symptoms to the family or our office which in-turn relays that information to the patient’s Primary Care Physician. 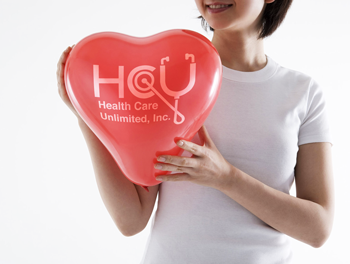 Health Care Unlimited takes the safety of our patients very seriously. We believe that safety begins with making sure we hire the right caregivers for your needs. Each caregiver undergoes a thorough hiring and supervisory process. For many patients with behavioral health conditions perhaps the most critical time in their treatment is after they leave the hospital and return to their home. It is at this time that behavioral patients face their most daunting task. Behavioral patients will move from consistent oversight and care to an often isolated and poorly supported environment where their condition can quickly deteriorate. This poor transition can quickly develop into a cycle of entry and exit that uses up limited healthcare resources. 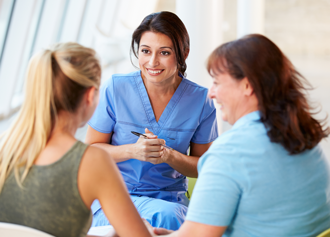 Our Psychiatric Nursing Program focuses on providing a consistent layer of support from Registered Nurses highly skilled in the areas of psychiatric care. Our psychiatric clinical team can provide care and management for all mental disorders (DSM IVR) in the Rio Grande Valley of South Texas. Our Psychiatric Nursing Program is an outreach mental health treatment program that is privately funded or funded through a separate insurance contract. Our psychiatric clinicians provide empathetic and compassionate education on life skills and disease management. Our clinical team becomes a strong provider of support to patients, families and communities in order to improve the quality of life of our patients. Through this program, our clinical team is empowered to take action and prevent or avoid an exacerbation in the patient’s behavioral health. In addition to improving the quality of care that is provisioned, the goals of this program are to reduce healthcare costs and stop or prevent the cycle hospital of entry and exit by those patients entrusted to us. Site best viewed in Firefox or Google Chrome. Page Generated in 0.0101 seconds.